Since its inception in 1850, ArtCarved has sought to create some of the most memorable bridal pieces available for partners. To mark every special moment, ArtCarved offers bridal jewelry items including stunning men’s and women’s wedding bands, including sleek traditional styles and diamond embellished modern looks. Expertly crafted with elegant 14-karat yellow, white, and rose gold, the ArtCarved wedding bands available today at BENARI JEWELERS exude a pristine shimmer and brilliance that is sure last a lifetime. Proud to serve the Philadelphia area with top-quality bridal jewelry, BENARI JEWELERS is pleased to present multiple collections from the artisans at ArtCarved. As authorized retailers, customers of BENARI JEWELERS can shop with confidence knowing the jewelry displayed in their galleries are genuine ArtCarved bridal jewelry pieces. 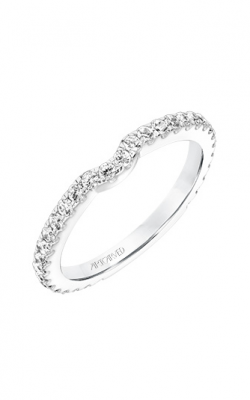 For the fashion-conscious bride-to-be, from ArtCarved comes the wonderful wedding bands that comprise the Classic, Contemporary, and Vintage collections, which include both traditional and modern ring styles. Further, also on display at BENARI JEWELERS is a wonderful assortment of ArtCarved men's wedding bands from the brand’s highly-polished Classics and Vintage collections, as well as sleek designs from ArtCarved’s dazzling Diamond collection. 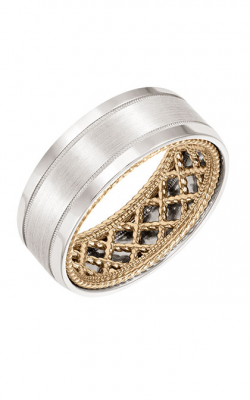 In addition to these handsome ring lines, at BENARI JEWELERS grooms can also shop from the fashion-forward Engraved and Contemporary wedding band collections, all of which feature boldly finished rings that are as stylish as they are comfortable. Devoted to their Philadelphia area customers, BENARI JEWELERS offers the latest in fashion and bridal jewelry trends. As authorized retailers of not only ArtCarved, but other premium designer names including Rolex, Cartier, Michele, Tag Heuer, A. Jaffe, Hearts on Fire, Tacori, and others, shoppers of BENARI JEWELERS are sure to find their luxury piece for every occasion. Further, to ensure happy guests, BENARI JEWELERS offers easy financing options, free lifetime service, and free diamond upgrade. Additionally, as the area’s full-service jewelry stop, at both their Exton and Newtown Square, Pennsylvania showrooms, guests can find comprehensive jewelry and watch repair services. BENARI JEWELERS is the place to shop for fashion-forward fine jewelry!